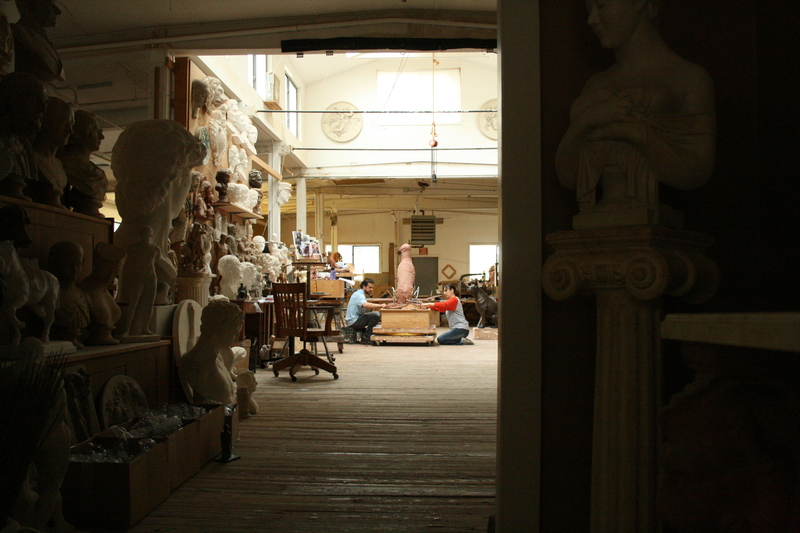 Our Studio – Woburn, MA – Skylight Studios Inc.
Our energetic studio is always buzzing with new commissions, projects, and restorations. 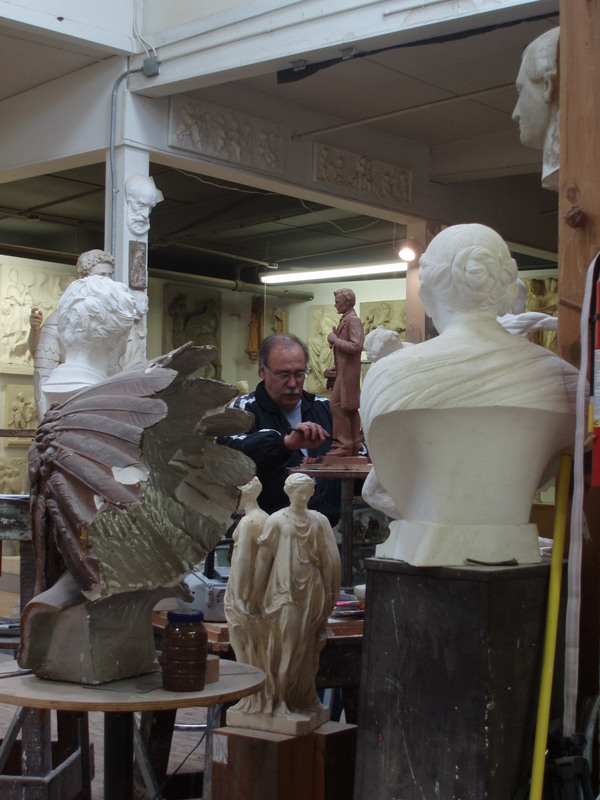 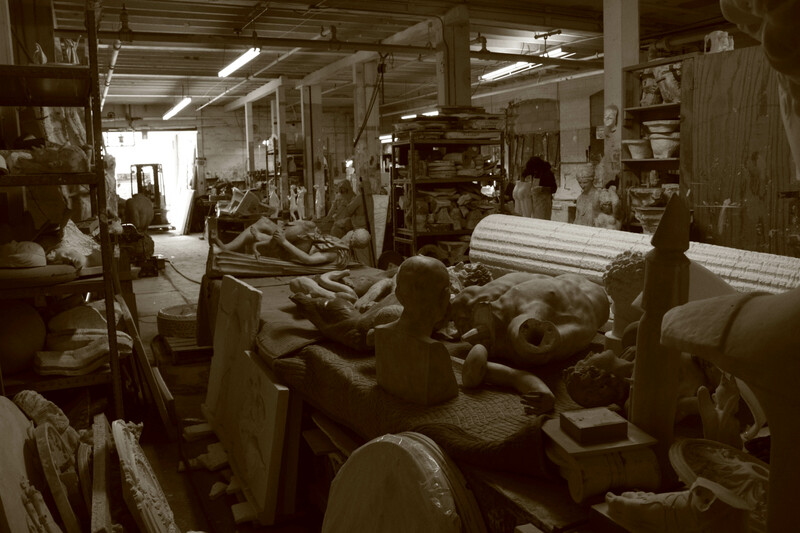 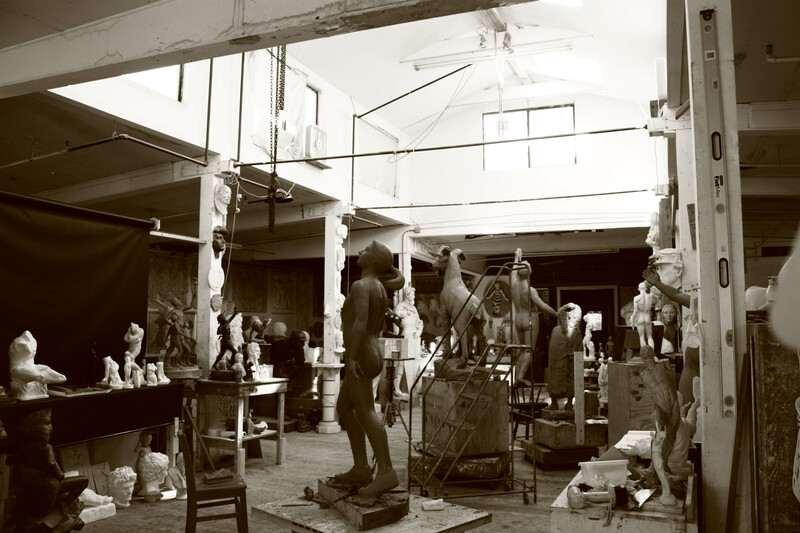 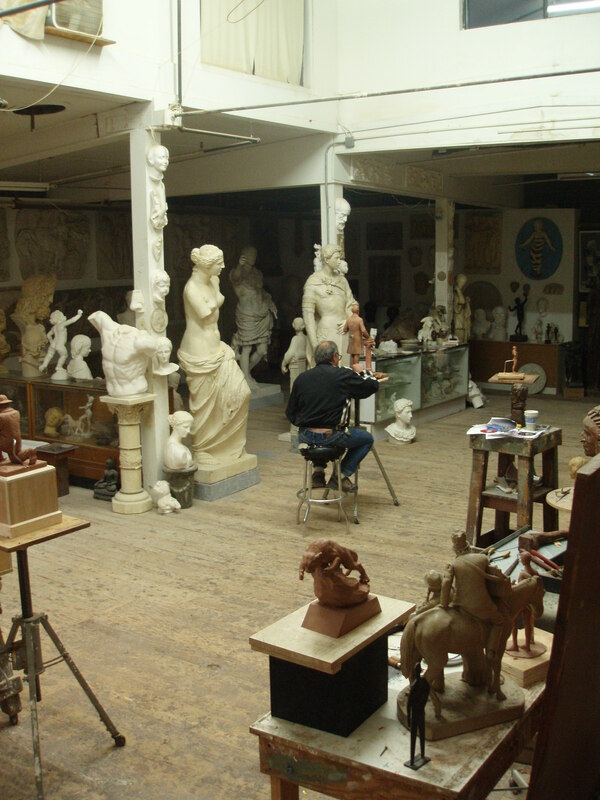 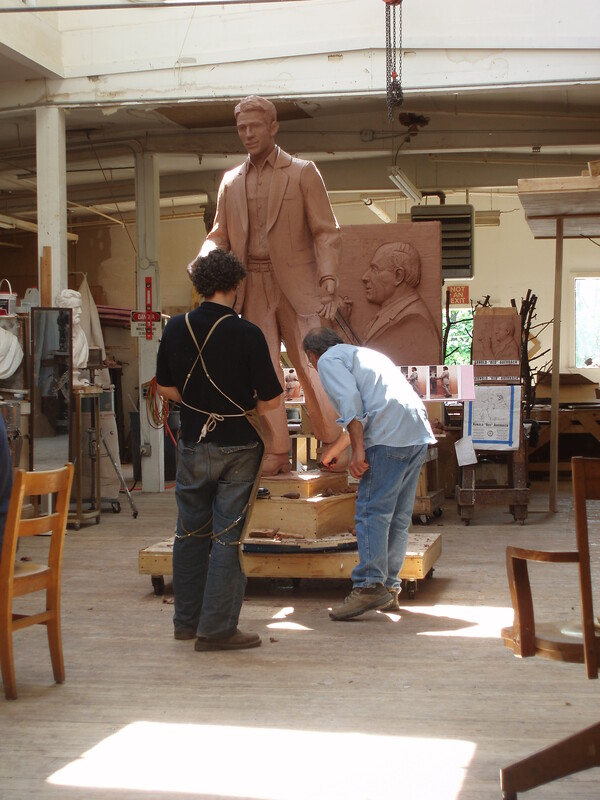 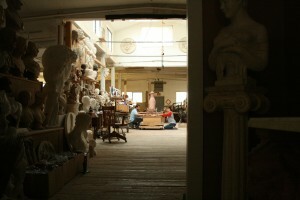 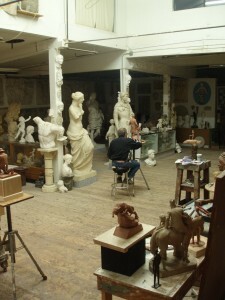 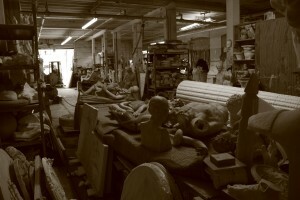 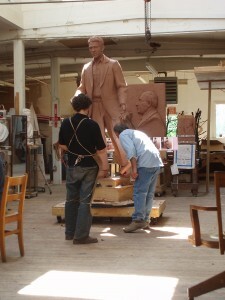 Sculptor Robert Shure and his staff of assistants and artisans work daily on creating new sculptures in clay, doing so in the center of the studio underneath the skylights. 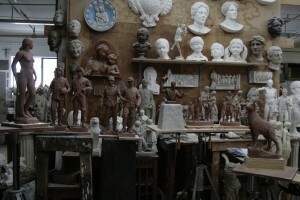 The perimeters and surrounding walls are filled with models and casts of past and recent projects. 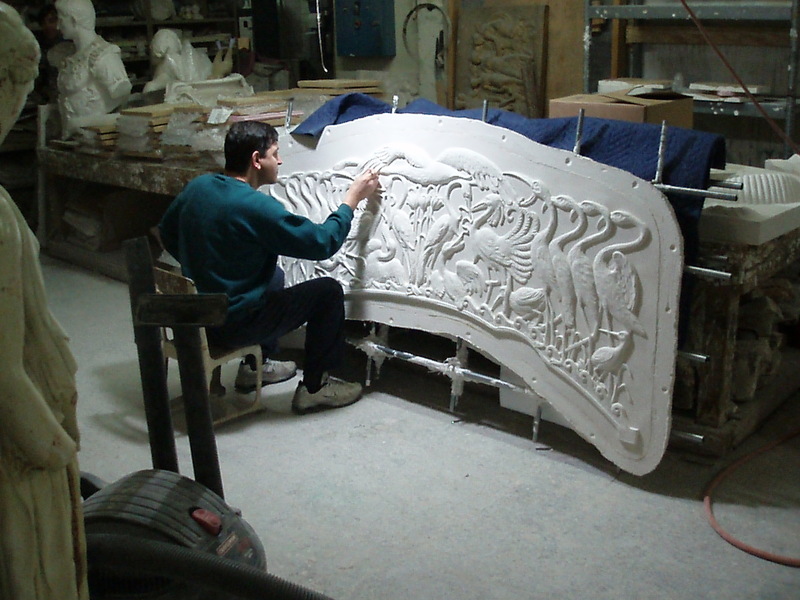 Whether monumental or small in size, three-dimensional figures or reliefs, the Skylight team produces astounding work of the highest quality. 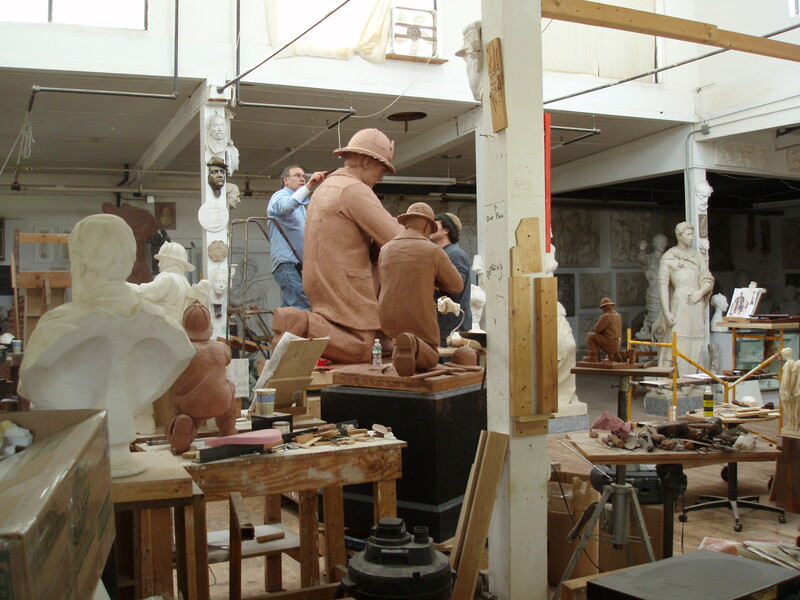 In addition, restorations of sculptures in a variety of materials are being worked on regularly and the items are assessed throughout the process to ensure their quality and longevity. 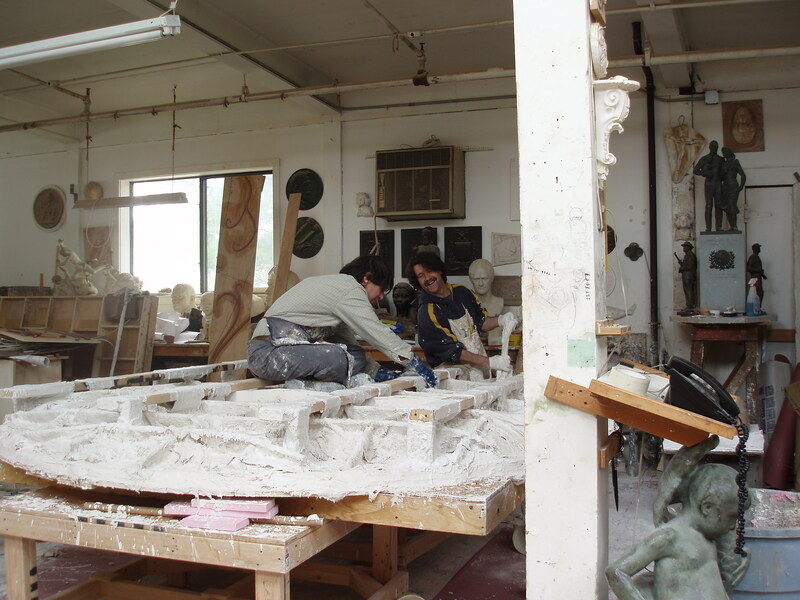 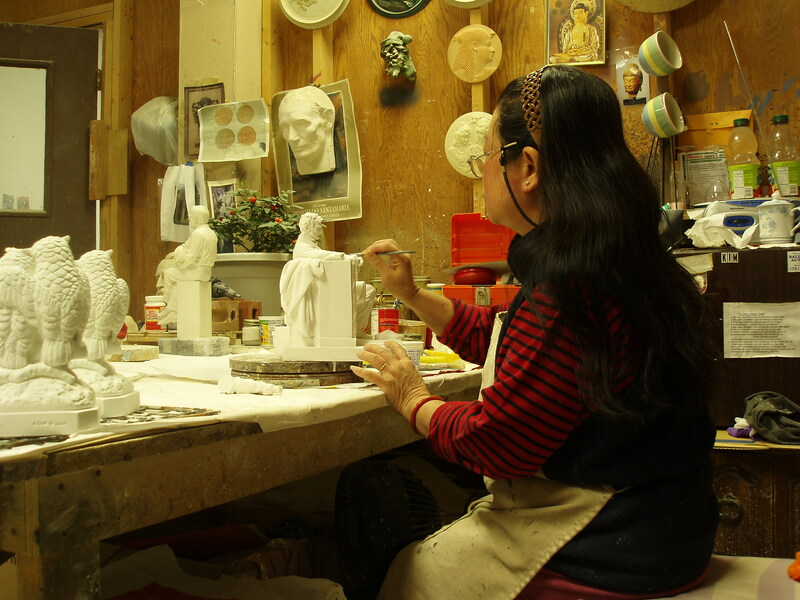 Our studio is also always making molds and casting sculptures, whether the originals were created here in the studio or are other works. 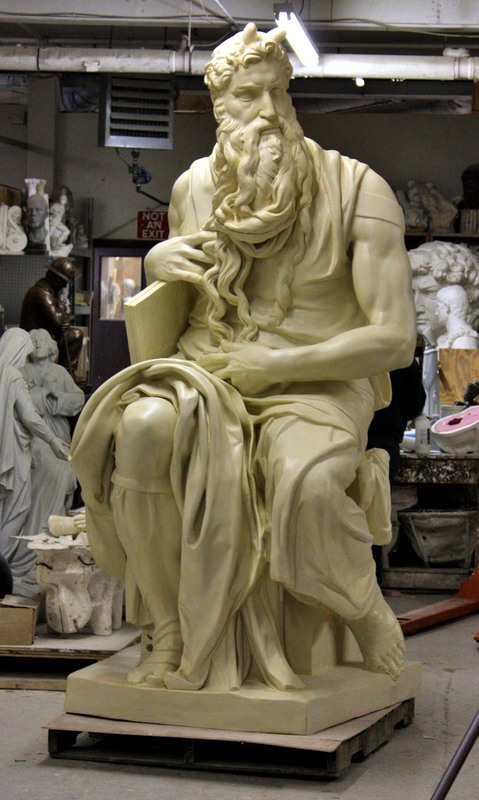 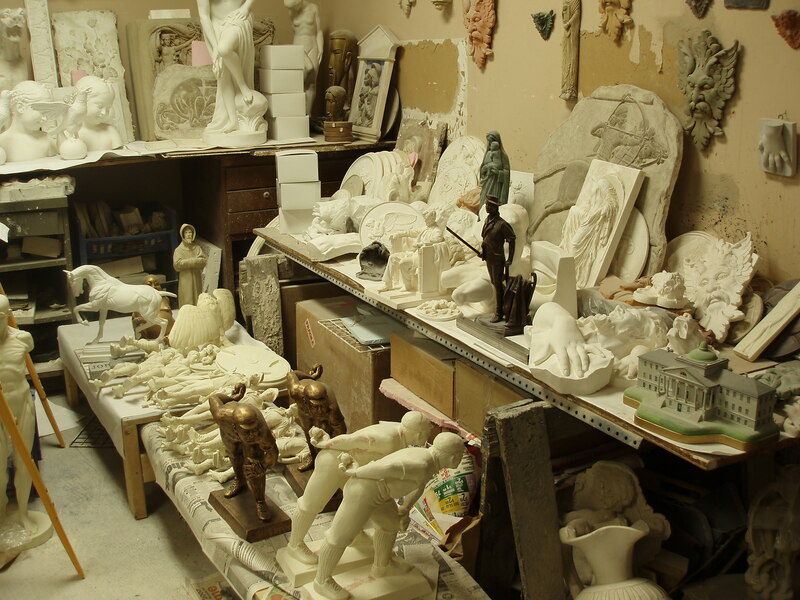 Artists, institutions, and other entities from around the country utilize our molding, casting and replicating services due to our expertise in the field. 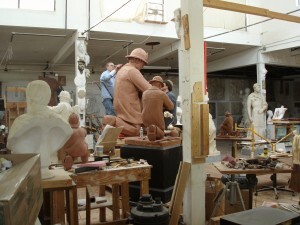 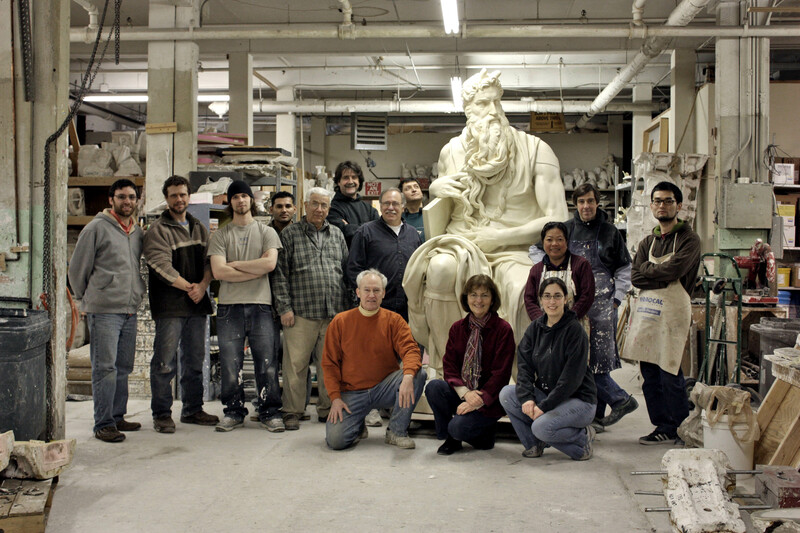 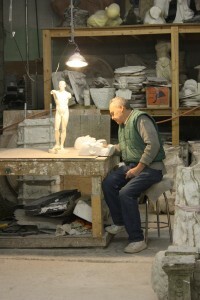 Shure and his staff learned the traditional methods of sculpting, modeling, restoration, moldmaking, casting, and other arts at the start of their careers and today combine those techniques and materials with new ones. 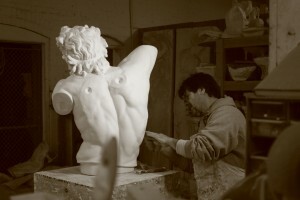 The result: sculptures and restorations of the finest quality.